Prior to 1850, fine carriage building in New York was mostly confined to the Fourteenth and Fifteenth wards, with the Elizabeth St. houses of Flandrau, Goodwin, Stratton and Fielding being at its center. 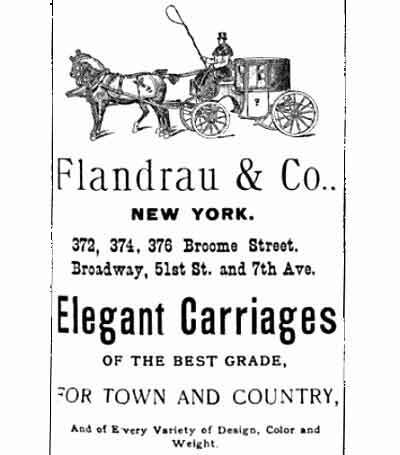 At that time William Flandrau of 138 Elizabeth St., at the corner of Broome, was considered by most to be Manhattan’s leading manufacturers of fine carriages. William J. Flandrau (b.1797-d.1881) was from New Rochelle, New York, a town originally settled in 1688 by French Huguenots who were fleeing the Catholic pogroms in France. Many of the settlers were artisans and craftsmen from the city of La Rochelle, France, thus influencing the choice of the name of New Rochelle. As a teenager Flandrau moved to Manhattan as a carriage-builder’s apprentice and after working for a number of that city’s great purveyors of the trade, established his own works at 6 Grand St.
On Friday, June 25, 1824 the New York Post announced his June 18th, 1824 marriage to Jane Payntz (b.1804-d.1891), the daughter of William Payntz of New York. By 1829 he had relocated to 109 Spring St. where he remained in the trade for the next decade. He moved to 138 Elizabeth St. in 1839 and soon afterward purchased 136 Elizabeth St. for his home. His blessed union with Jane resulted in the birth of eight children: Charles H. Flandreau (b.1822-d.1826); Ann Eliza Flandrau (b.1826-d.1880); William Flandrau jr. (b.1832-d.1907) (aka William H. Flandrau); Albert S. Flandrau (b.1835-d.1874); Emeline Flandrau (b.1837-d.1861); Edgar Flandrau (b.1840-d.1881); Charles T. Flandrau (b.1843-d.1875); Jane L. Flandrau (b.1847-d.1854); and Frank Flandrau (b.1852-d.1852). 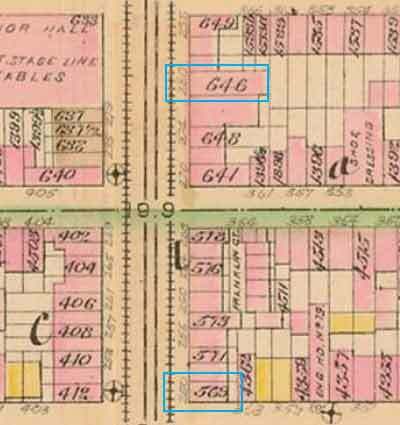 In the mid-1840s the two eldest Flandrau boys, William and Albert, apprenticed to their father and in 1852 established their own satellite branch in the style of W. & A.S. Flandrau at 240-250 Ninth Ave. (at W 26th St). William jr. returned to his father’s employ, remaining at 250 Ninth Ave., as the structure was still leased by his father. 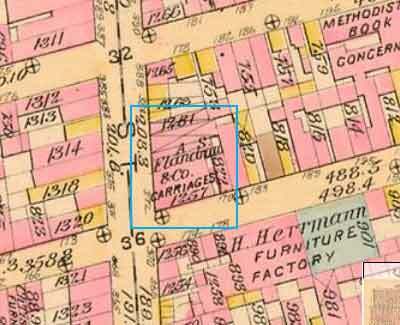 By now his two younger brothers, Charles F. and Edgar Flandrau, had joined him in the family’s carriage business, which continued to operate two separate facilities, the original establishment at 138 Elizabeth St., and the satellite manufactory at 240-250 Ninth Ave.
During the Civil War business was good for the house of Flandrau, although Albert S. Flandrau’s foray into stock & bonds was short-lived and at war’s end he was working for the Wood Bros. Co. as a carriage salesman at their 596 Broadway repository. He also spent some time working for Brewster of Broome St. after which he operated his own warerooms in the style of A.S. Flandrau & Co. at No. 7 & No. 18 East 18th St. (between 5th Ave and Broadway). Assisting him in that enterprise were Daniel T. Wilson, an experienced carriage builder, and Seth C. Keyes, a wealthy Manhattan ready-to-wear garment manufacturer. 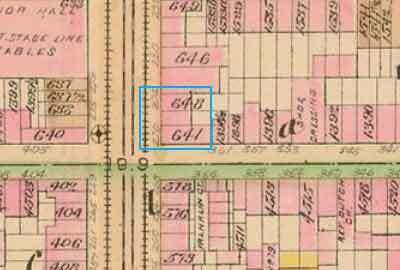 At the end of the Civil War William Flandrau moved his household to 116 W 26th St., in order to be closer to his 250 Ninth Ave. carriage factory. 136-138 Elizabeth St. was sold to St. Matthews Lutheran Church in 1868 who raised the aged structure to make way for construction of a new sanctuary. St. Matthews remained at the corner of Broome and Elizabeth Sts. until 1913 when the congregation moved to W. 145th St. & Convent Ave. 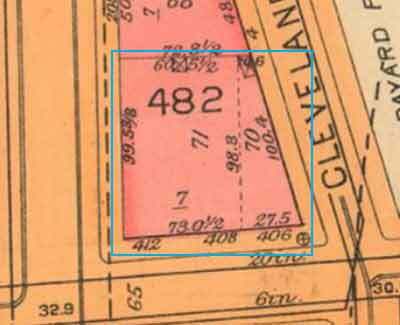 The former Flandrau property was sold to the Knickerbocker Ice Co., who raised it and erected a new building to house their ice factory. 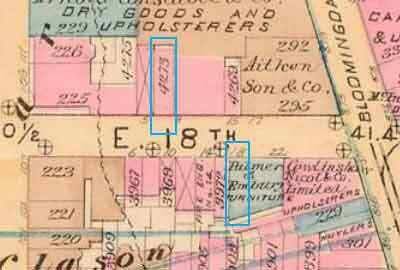 By 1870 William Jr., Charles F. and Edgar Flandrau had relocated their Ninth St. wareroom and factory from 250 Ninth Ave. to 280 Ninth Ave. William Flandrau (Sr.) also relocated his residence from 116 W 26th St to 160 W. 26th. William Sr. was considered one of the grand old builders of Manhattan and served as judge for the American Institute’s 1870 carriage and sleigh competition held. 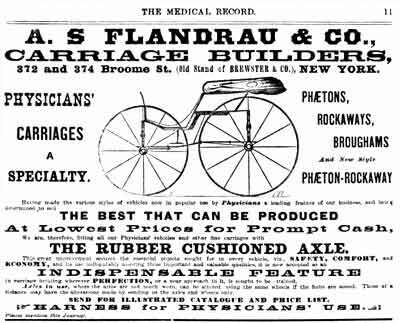 Business for A.S. Flandrau & Co. increased during the early 1870s and when Brewster & Co. (Brewster of Broome St.) relocated to the corner of Broadway and 47th Street in 1874, Flandrau & Co. leased their old 372-374 Broome St., six-story, manufactory. The firm was sometime listed at 75 Mott St.
Just as they were set to open, Albert S. Flandrau suddenly and unexpectedly passed away. The two remaining partners decided to continue the business under their own names, Keyes & Wilson, as successors to A.S. Flandrau & Co.
Daniel T. Wilson (b.1854-d.1937) was born in Brooklyn, New York, May 28, 1854, the son of Benjamin Woodward and Elizabeth Ann Wilson. He received is early education at public school, Moravian School and at Nazareth Hall Military Academy, Nazareth, Pennsylvania. After which he became associated with Albert S. Flandrau, as shop foreman. Seth Cromwell Keyes (b.1821-d.1893) was a most interesting character. He was born to John Banker and Jean Marie Allaire Keyes on Feb 9, 1821. His minister father was a veteran of the War of 1812 and founder of the DeKalb Ave. Methodist Church in Brooklyn, New York. By 1850 Seth and his brother William Edgar had established two competing firms on San Francisco’s Clay St. Seth’s firm, located at 195 Clay, was known as Keyes & Co.’s Golden Gate Clothing Store, William Edgar’s, located at 178 Clay was known as Keyes Original Clothing Emporium. The Keyes Brother’s ready-to-wear garments were all manufactured in their Manhattan factory which was located at 833 Broadway. A period ad in the San Francisco newspapers advertised; “$100,000 stock in the very latest styles.” The pair increased their fortune by supplying Union troops with clothing and blankets, and in 1861-1862 Seth served as an official Army clothing inspector for Col Vinton. He had his hand in a number of Manhattan businesses, including the W.H. Brady & Co., a commission broker located at 609 Broadway. He was directly involved in a scandal involving the later US President’s wife, Mary Lincoln. In 1867 Mary Lincoln, who had been left with no cash resources when her husband, Abraham Lincoln, was assassinated, began secretly disposing of her wardrobe and jewelry to drum up some much-needed cash. While in disguise she brought a lot of jewelry and dresses to W.H. Brady & Co., a commission broker at 609 Broadway. After some haggling over price Brady's partner, Seth C. Keyes, spotted Mrs. Lincoln's name inside one of the rings and the deal was quickly closed. In order to garner some publicity for the firm Brady & Keyes released the news to the Democratic New York Press who had a field day with the resulting scandal of the “destitute ex-First Lady, who had been abandoned by the Republican Party”. To make matters worse the Brady & Keyes then organized a multi-city tour of the “First Lady’s Jewels and Wardrobe”. Keyes was well-known to Albert S. Flandrau as he had purchased a number of carriages through him and was only too happy to invest when Flandrau decided to expand his carriage business. I am writing to you to order one of your excellent vehicles because I know that they are “warranted for one year on the road and six months on the pavement.” I am interested in a carriage for my wife that could be driven by our coachman or by myself when I accompany her on outings. Since the vehicle will be driven in all kinds of weather, I would like the versatility to convert the carriage to an open-air vehicle for the family. There should be four comfortable and elegant seats. I am very concerned with creating a vehicle of pleasing and continuous lines and I therefore request that the steps be unobtrusive. Since my wife will be using the carriage to make calls, I would like to include a calling card case, elegant curtains, and fine detailing. Remember that this is a city vehicle and maneuverability is important. My wife asks that I remind you of the fact that she adores gold striping. I look forward to prompt delivery. William J. Flandrau, the founder of the Flandrau carriage empire, passed away in 1881 at the age of 83. Sadly his three youngest sons: Albert S., Charles F., and Edgar, all talented carriage artisans, had preceded him in death. Jane Flandrau, his widow, died in 1891 and his eldest son, William Jr., would be the only member of the family that lived long enough to see the advent of the automobile as he passed away in 1907. “Carriages For the White House. 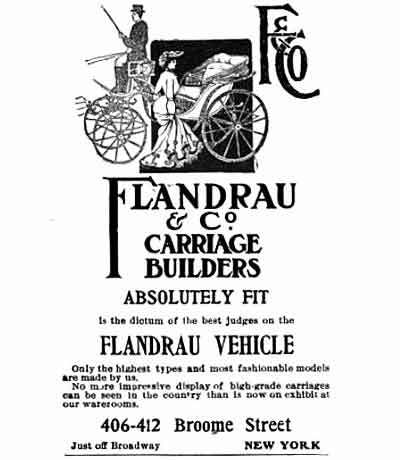 “Out of the many skilled builders of carriages in the United States the house of Messrs. A. S. Flandrau & Co. of No 372 Broome-street, this city, were called upon to supply vehicles for the use of the Executive and his family. 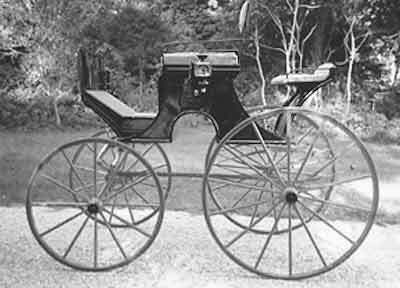 Those were a landau and a Victoria, both severely simple and unostentatious in style, but of the most perfect workmanship and finish. The landau is full-sized, leather-topped, and extremely plain. The entire carriage is painted dark green and the upholstering, of the same color, is of the finest of materials, while the ornamentation is of the simplest character, the lamps and handles being finished in black rubber with a thin silver band about the edge. “The Victoria is of the same modest design and is regarded in Washington as the embodiment of good taste and neatness. The harness, which was also designed by Messrs. A.S. Flandrau & Co., is mounted with black rubber and trimmed with silver, the only ornament it bears being a modest ‘G. C.’ in monogram on the rosette of the bridle. "Altogether the turnout is one of the finest and most tasteful seen on Pennsylvania avenue. “The offices and storerooms of Messrs. A. S. Flandrau & Co are at No. 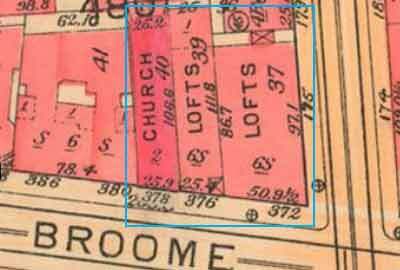 372, 374, and 376 Broome-street, in a seven-story building, whose dimensions are as follows; front, 70 feet, depth, 100 feet: and this is literally filled from basement to roof with carriages of every size, style, and description. On one floor, which is devoted to coupe Rockaways, are stowed away more of these comfortable conveyances than we ever saw under one roof. On the same floor also is a design to a cutter sleigh on which three men have boon working for a year. On another floor there is in process of construction a brougham of handsome design which combines with its simplicity a perfection of style and workmanship that lies beyond praise. It is rumored that this, vehicle is also designed for the White House. A.S. Flandrau was listed as an intending exhibitor at the American Exhibition of the Arts, Manufactures, Products and Resources of the United States which was held in London England in 1886. “A Grand Show of Carriages. – Opening of New Warerooms at Broadway and Fifty-First Street. 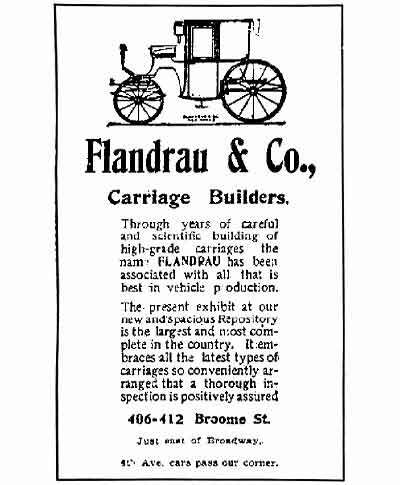 “That old-established carriage firm which is still known as Flandrau Co., although the firm is really Keyes & Wilson, has found its establishment at 372, 374, and 376 Broom Street too small to accommodate its growing trade and has opened a branch store, to be used especially for show rooms, at Fifty-first Street and Broadway. “The former occupants of the building were Messrs. Lowden & Rutherford, also carriage makers, whose stock Flandrau & Co. is selling by an assignee’s order. The priced on this stock have been materially reduced, and any one who may be hunting for a bargain in the carriage line will find it worth his while to examine it. Flandrau & Co., 372 to 378 Broome Street, have one of the most complete lines of well-made, beautifully-finished and thoroughly-artistic carriages in New York City. Their constant number of sales is a source of wonder to other manufacturers. Even in the dullest times they are never put to it to complain. They have friends from the Atlantic to the Pacific, and from Canada to Mexico. May of their carriages go even to South America, and wherever they go the word ‘Flandrau’ is a synonym for wear and tear, beauty, and artistic design. Their line of second-hand carriages is to-day a large one, and the prices are very reasonable. 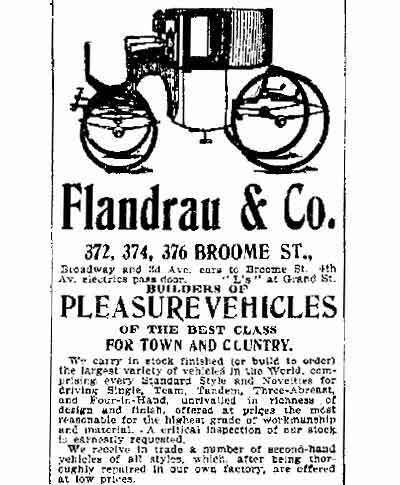 “For this latter trade as well as for general town use, Flandrau & Co., 372-376 Broome Street, have arranged a special display of everything in the way of vehicles for use at the seashore or in the mountains tat surpasses anything they have ever yet shown. It is a positive delight to the admirer of a fine trap to wander through the great warerooms, for even the most critical will find much to admire, even if his wants are of the practical sort rather than for the elaborate. The claim that the stock is the largest in the world does not seem out of place. “High Traps to be the Proper Thing This Season for Park and Road Use – Some of the Novelties Shown at Flandrau’s Warerooms – Dark Blue and Greens the Fashionable Colors – Proper Dress for Par Riders – Styles in Trousers. “A demand for very high traps is the special feature that carriagemakers have had to comply with to suit a very finikin trade this Spring. Each driver of a cart that comes under the head of a ‘fancy turnout’ seems to be possessed with a mania for getting up in the air as high as he can conveniently and at the same time drive a horse. So the very smartest things on wheels this year, always, of course, excepting the very pretty and very daintily-dressed ladies who ride the bicycle, will be the traps on which the driver is perched well above the back of his horse. The owner of the very latest thing for use in the parks or on the country roads will, perforce, look down upon the commoner who stick to the old-fashioned, low-slung road wagon, the runabout, or the old, very comfortable style of the phaeton, such as ladies have loved to ride in for so many years. “But if one would now have the very proper caper for his high-stepper, he must make up his mind to ride well up in the air, higher than he ever has done heretofore, and in such a prominent position that he must be in absolutely correct form not only in dress, but in the handling of his horse or horses, if he would avoid the criticism of those who know what good driving and proper dressing are. “The new styles in tandem carts of all kinds, of Tilburys, and of traps for either single horses or pairs, make as much of height as of any other one point to an absolutely correct turnout. Flandrau's latest styles, now on show in the Broome Street warehouse, that is so well known to owners of fancy traps, are all noticeable for this feature, Even a morning cart, one of the very latest things for ladies’ use, is swung well up from the ground, though this is essentially a low cart. One of these traps shown at Flandrau's is a handsome affair, on two wheels, of course, with a highly-polished body of Burgandy wine-color, with moldings in black, and fine stripings in cream color on the wheels, hub, and gearings. The cart has a hood front, and is trimmed with a heavy and very rich silver-gray cloth. The dash is concave in shape, allowing the horse to be hitched close up, and on each side of the dash is fixed a lamp of tulip pattern with cut-glass panels set in silver frames. The trap is decidedly elegant, and just the sort of thing that would look ‘up to date’ in the parade on Bellevue Avenue in Newport. “A trap that will delight the younger men among the drivers is a dos-a-dos cocking cart, set well up, trimmed with Bedford cord, and with the running gear of coaching red, the shutters set into the shining black body being of the same color. It is ‘nobby’ to the last degree. Another dos-a-dos shown, somewhat heavier and larger. Is finished with a body of olive green, with black and cream as the subordinate colors on the running gear. This, too, has trimmings of Bedford cord cloth and a pair of handsome mail lamps give it a thorough finish. “A pony spider phaeton is among the new things that is sure to find favor. The color of the body is of royal blue, so called, perhaps, because it is of about the shade that is used for the uniform of a Wagner-car porter, and therefore as near to royalty’s colors as anything we have in this country. It is one of the extremely fashionable colors this Spring, at all events, and is rich and modest. This particular phaeton has the running gear and the pillars striped with cream color in web-like lines, and the rumble is set on in truly artistic fashion. It will take a perfect team, a smartly-dressed lady, and a tiger of the rarest to give this road cart the finish it deserves when on the road. “Another spider phaeton shown is called the Lenox, which is hung on side-bar gearing. This has a hood, a body of graceful lines with Stanhope pillars, the former in royal blue, and the pillars in café au lait, with stripes of the same tint in the blue running gear. The trimmings are drab cloth, with embroidered trimmings of a trifle deeper shade. Behind a pair of cobs, this would make a trap of which any owner might well be proud. “A Park trap for a pair of cobs about 15.2 has the prevailing royal blue for the body color, with the gearing and the shutters finished in vermilion, and the trimmings of Bedford cloth. A good family trap is a Layne phaeton, standing very high, with two seats, Bedford cord trimmings, and finished in blue and black, with cream stripings. “Two novelties shown for the Park or country road are a French break, which is made to carry seven people. It is intended to be drawn by a pair of French coachers, and with such a trap a gentleman need have no fear to drive in any part of Long Island, for no one, even in that country of smart turnouts, would have a better-looking break than he. The colors are royal blue for the body and maroon for the running gear, the body panels being separated by moldings of black, picked out with maroon in very tasty fashion. A French opera bus that is a novelty has seats for six people outside, and for six more inside, and is a showy affair for four light horses. The upper works are black, with the running gear and the shutters in the boot of carmine. The upholstery is of the silver-gray cloth which is so generally fancied in all traps. An 1895 Flandrau break is on display at Colorado Springs’ Broadmoor Hotel. The amazing hotel was built in 1918 by Philadelphia mining magnate Spencer Penrose. One of his hobbies was collecting carriages and the hotel maintains a small carriage museum, The Flandrau carriage in his collection was once owned by Chester Alan Arthur II, son of the 21st president of the U.S. The break was designed to transport its wealthy owner and his friends on short excursions or, when equipped as a dog cart, to fox hunts. The roof-top seats served as prime spectator seating and were often in great demand with the ladies at sporting events. Arthur was part-time Colorado Springs resident and he often took groups of friends to the Brown Palace Hotel for dinner using the vehicle. 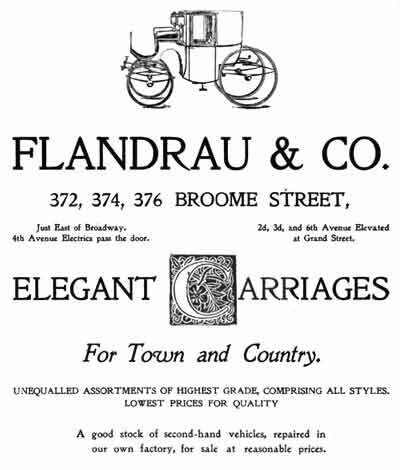 A.S. Flandrau not only manufactured carriages, they also distributed them and for many years served as the Manhattan distributor for Judkins. 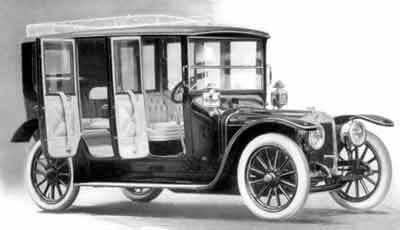 Flandrau was also involved in bodying New York City’s first electric taxicabs which were manufactured and operated by the Electric Carriage and Wagon Co. /Electric Vehicle Co. of New York. Unable to fill a large order for additional bodies, Daniel T. Wilson subcontracted the construction of 20 bodies to Judkins. 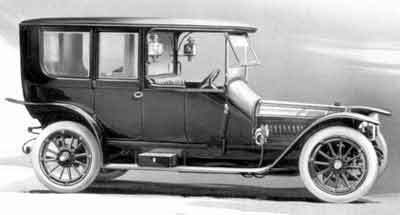 Those twenty vehicles were the first automobiles known to have been bodied by the Merrimac firm, and when manufacture of the taxicabs – now called Columbias - was transferred to Col. Pope in Hartford, Connecticut, both Judkins and Willoughby of Utica, New York supplied most of the coachwork. The driver of these early taxis sat in a little open ‘balcony’ behind the tall, glass-enclosed passenger compartment and steered using an early steering wheel. “Flandrau & Co., Formerly at 372, 4, 6 Broome St., HAVE REMOVED TO 406, 8, 10, 12 Broome St., N.Y. A DOZEN BLOCKS FROM BRIDGE. “A much larger building completely fitted for our business, facing on three streets, Broome, Elm and Marion, thus insuring perfect light; in stormy weather illuminated throughout by electricity; passenger and freight elevators; the most modern plant in every department; easier of access by Broadway cars but two blocks away; dozen blocks from the Bridge; all ‘Ls’ to Grand Street; all surface cars to Broome Street; 4th Avenue cars pass corner. “Every Indication That Business Will Be Good – Automobile Manufacturers Also Confident. “According to manufacturers and selling agents in the carriage and automobile business, the outlook for trade in these lines during the new year is good. Little plunging is expected, but the universal feeling is that the ill-effect of the shrinkage in security values, which had a marked effect on these lines of business in the closing months of 1903, has spent its force, and that now that a readjustment of values has been reached the buying of pleasure and business vehicles will resume its natural volume. “The carriage trade in the last year has fallen off throughout the entire country. The shrinkage has been about 20 per cent from the best business year, and about 10 per cent from a normal year. The falling off first manifested itself about April and May, when the makers of cheap carriages were hurt by the Spring floods. The manufacturers who were in the habit of making large quantities were forced to curtail their output because there were large stock left in the hands of dealers, and that has continued during the whole year. “The output now is 25 per cent less than Spring. If the coming Spring is pleasant, however, and no other unusual condition arise, that will right itself, and the business will be large as ever. The farmers have money to spend on carriages, and if the weather is at all favorable they will spend it. “The trade itself has been hurt, too, this year by the extensive labor troubles in all parts of the country, but these seem now to have been all happily settled. “The fine carriage trade in New York and other large cities was hurt of course by the shrinkage in the value of securities. Now that things in Wall Street begin to look better and settled values seem to have been reached, we expect that they ill begin to buy again. The growth of the demand for automobiles has hurt the carriage a little, but not enough to be felt in normal times. “Paul C. Langner, (born 1862, Germany) draftsman with Flandrau & Co., New York City, was born forty two years ago in Eastern Prussia, Germany. He. entered a body building shop at the age of fourteen years, and at the same time began the study of carriage drafting. After serving his time he went to Leipsic, Saxony; thence to Strasburg, and down the river Rhine to Düsseldorf, acquiring a journeyman's knowledge in the various shops. He finally arrived at Münster, and worked in the different, establishments of that city. Langner had been introduced to Wilson in the latter’s capacity as a director of Manhattan’s Technical School for Carriage Draftsmen and Mechanics which was founded in December of 1880 by the Carriage Builders National Association. Brewster & Co.’s John D. Gribbon served as its initial instructor, after which Andrew F. Johnson, an early graduate, headed the school. Free instruction was offered via day and evening classes, and a low-cost correspondence program was available for out-of town students. 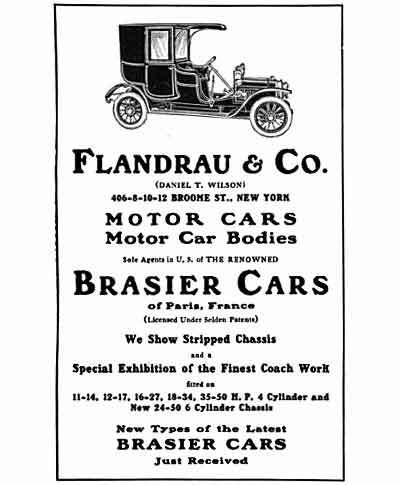 Flandrau’s Daniel T. Wilson made frequent trips to New York City’s early European automobile importers that were scattered along Broadway in Manhattan’s ‘automobile row’. The neighborhood that once housed a Flandrau showroom was now the home of the city’s high-end automobile showrooms, many of whom did business with Flandrau. In the first decade of the twentieth century the firm is known to have bodied Columbia, Hotchkiss, Richard-Brasier, Renault and Mercedes chassis. When E.B. Gallagher, the importer of the Brasier automobile decided to withdraw from business in 1910, Daniel T. Wilson organized the Flandrau Motor Car Co., 406 Broome St., New York and took over as importer of the French-built automobile. Wilson served as president of the firm and Manhattan attorney Wilford H. Smith, as vice-president and treasurer. The massive and massively expensive chain-drive Brasier was the successor to the Richard-Brasier which was itself the successor of the Georges Richard automobile. 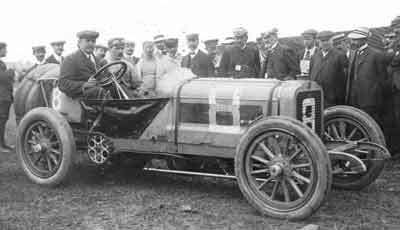 The Richard-Brasier developed a well-earned reputation after winning the 1904 and 1905 Gordon Bennett Cup, and despite the fact that Georges Richard left the firm in 1905 to found Unic, the car remained popular despite a name change to Brasier in 1906. Flandrau offered twin, four and six-cylinder Brasiers prior to the firm’s withdrawal from the US market due to the inherent risk to of cross-Atlantic passage due to the developing European conflict. “No. 622—1906 Renault. 20-30 H. P., limousine body (Flandrau), convertible into open body with canopy top. Used as town car only. Fine condition. More than fully equipped. Price, $3,500. Wilson was also an active member of the C.B.N.A. (Carriage Builders National Association) and along with William Wiese represented the Manhattan members at the 1910 Portland, Maine funeral of Charles Frederic Kimball. 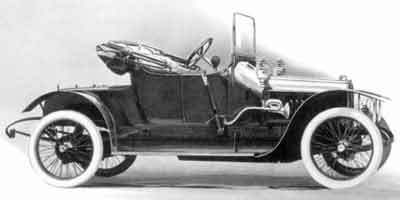 With no more Brasiers to sell, and the future supply of all European chassis in question, Daniel T. Wilson decided to close up shop and withdraw from the coachbuilding business on July 1, 1914. He went to work for Brewster & Company as sales manager for Rolls-Royce automobiles and bodies. Wilson passed away in 1937 at the age of 82.